I just bumped into this, sorry but it seems like a dead end, anyone got the goods on this. Missing time between him leaving bar and being shot "unaccounted for"
The mystery behind the murder of DNC staffer Seth Rich has deepened after it was revealed that there was around an hour and a half of â€œunaccounted forâ€� time between him leaving a bar and being shot dead. Rich was shot in the back in Washington D.C. on July 10, the apparent victim of an attempted â€œrobberyâ€� despite the fact that no possessions were taken. Last week, Wikileaksâ€™ Julian Assange appeared on Dutch television and implied that Rich was one of the sources of the DNC email leak. A Wikileaks release of an email exchange between Washington insiders at the time of Hillary Clintonâ€™s defeat in the New Hampshire Democratic primaries suggests her rage-driven role in ordering a spree of politically motivated murders, which in hindsight could explain the mysterious deaths of Supreme Court Justice Antonin Scalia, DNC staffer Seth Rich, attorney Shawn Lucas, and others, along with mortal threats against rivals Bernie Sanders and Donald Trump. Here, the emails between the two principals, Democrat kingmaker John Podesta and gay lobby leader Steve Elmendorf, are correlated with Hillary Clintonâ€™s campaign schedule and a subsequent string of politically motivated killings and attempted murders. Hillary Clintonâ€™s reign of terror goes beyond attempts to frighten rival candidates, given the fact that the elimination of Justice Scalia is a bold attempt to restructure the American political system of checks and balances into a totalitarian presidency above the law and disdainful of populist demands. As a consequence of Scaliaâ€™s death, the nationâ€™s highest court has been facing the gravest danger of becoming transformed into an instrument of a tyrannical presidency. The heinous crime does not simply involve the silencing of an outspoken judge in opposition but represents a potentially fatal strike against the separation of powers between the legislative, executive and judiciary branches, as guaranteed by the Constitution. The Podesta-Elmendorf emails should spur a restart of investigative journalism (in absence of a functioning Attorney Generalâ€™s office under the sold-out appropriately surnamed Loretta Lynch) into the unsolved murders that now warn the citizenry of an ongoing coup against American democracy.If the murderous assault against the high court did indeed involve tacit approval from the White House, then the obvious objective is a dictatorship ruling through fear and intimidation of the citizenry without any legal constraints. Re: FBI verses Hillary ; Obama. Seth Conrad Rich, DNC staffer killed. It has been said this man was about to come forward with inside information of the DNC/Hilldogy cons. I wish I could back it up a tad more, and if possible I will. It is in evidence,there were no witnesses, nothing was stolen. So, a UN Official dies "mysteriously" right before testifying against Hillary Clinton and now a DNC staffer gets shot in a failed robbery attempt? What are the odds! The parents of slain DNC staffer Seth Rich are joining forces with a high-profile Republican lobbyist in their search to bring their sonâ€™s killer or killers to justice. The lobbyist, Jack Burkman, told the Jewish Forward that he plans to hold a press conference this month alongside Joel and Mary Rich and call on the public to come forward with any information about the case. Heâ€™s also offering a new $100,000 dollar reward for any information that leads to the apprehension of the killers. This award is in addition to those already being offered by Washington DCâ€™s Metropolitan Police Department ($25,000) and by Wikileaks ($20,000). Wikileaks has been fanning the conspiracy theories surrounding Richâ€™s murder. Rich, 27, was shot and killed in July in Washington, D.C., in what police have speculated was a botched robbery. But the killer didnâ€™t take Richâ€™s wallet, watch or phone, and his death has since fueled numerous conspiracy theories on Redditâ€” with online commenters suggesting that Rich was an FBI informant, and that he was responsible for leaking the 30,000 DNC emails to Wikileaks, at the behest of a powerful Bernie Sanders donor. No arrests have been made in the murder and there is no known plausible evidence giving credence to any of the conspiracy theories. Rumors are starting to circulate that Julian Assange hinted during his interview with Sean Hannity on Fox News that Seth Rich might have been the source of WikiLeaksâ€™ DNC and Podesta emails. However, Assange never actually said this. Whether or not you believe he was hinting at it depends on how you interpret something he said during his interview with Hannity. After you finish this article, take our poll at the end of the story and let us know who you think was the source of WikiLeaksâ€™ information. At one point, Assange and Hannity are speaking about the news that WikiLeaks was working with Russia to influence the election. Assange pointed out that if you read the governmentâ€™s statement carefully, they never come right out and say that WikiLeaks was involved. In fact, even the joint analysis report that came out from several intelligence agencies on December 29 never mentions WikiLeaks by name. Assange says this is because they actually donâ€™t have any evidence that WikiLeaks was working with Russia, because they were not. None of WikiLeaksâ€™ information came from the Russian government or state sources, he said. Nmaed in this video as the wikileaks sourse for the clinton/podesta emails. AND ASSANGE IS MISSING. PROBABLY DEAD. GOOD VIDEo. " 30 REASONS WHY ASSANGE IS DEAD..."
A federal investigator who reviewed an FBI forensic report -- generated within 96 hours after DNC staffer Seth Rich's murder -- detailing the contents Richâ€™s computer said he made contact with WikiLeaks through Gavin MacFadyen, a now-deceased American investigative reporter, documentary filmmaker, and director of WikiLeaks who was living in London at the time. â€œI have seen and read the emails between Seth Rich and WikiLeaks,â€� the federal investigator told Fox News, confirming the MacFadyen connection. He said the emails are in possession of the FBI, while the stalled case is in the hands of the Washington Police Department. The revelation is consistent with the findings of Rod Wheeler, a former DC homicide detective and Fox News contributor and whose private investigation firm was hired by Richâ€™s family to probe the case. Rich was shot from behind in the wee hours, but was not robbed. New Evidence In Seth Rich Murder: He Contacted Wikileaks & Police Won't Investigate! Back on August 10th, 2016, we brought you the story of Julian Assange of WikiLeaks suggesting that former DNC staffer Seth Rich was killed for being the WikiLeaks whistleblower who exposed the Debbie Wasserman Schultz / Bernie Sanders e-mails prior to the DNCC. A new report is now surfacing that will allegedly prove that there were several communications between Rich, & Wikileaks, and that there is an active cover-up of the assassination. We have been following this story for about 8 months now, and there may be fire behind the smoke here. 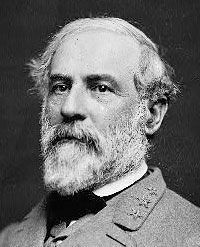 Time will tell, but we have to investigate and determine if there is veracity to the claims. Might as well add us on Snapchat too. We'll try to do more over there. Typical HRC and team response. Leaving- a message, * it couldn`t be more clearer if it was written in stone. The beating was an act of revenge (message), the killing was SOP for this gang of parasites. â€œWhatâ€™s really interesting since Iâ€™ve been looking into this case, Iâ€™ve uncovered quite a few things, but not necessarily related to Sethâ€™s death, but related to an underground â€“ a possible â€“ underground corruption, organized crime corruption group that may be operating in the District,â€� Wheeler said. Hi Jo. The INSIDERS, pyschos, make Al Capone look like a boy scout. ... too hot to handle for Dems and Reps? WASHINGTON â€“ Itâ€™s the story no one want to touch because it is so potentially explosive. And itâ€™s the murder mystery that could throw a wrench into the narrative that Russia hacked the Democratic Partyâ€™s emails during the 2016 presidential election in order to influence the presidential election. These are the inquiries WND made to current lawmakers and others without getting responses. To a member of the White House press office: Will Attorney General Jeff Sessions look into whether the FBI and D.C. police are suppressing WikiLeaks evidence on the laptop? To a presidential adviser: If WikiLeaks was getting DNC emails from Seth Rich, what does that do to the narrative of Russia hacking the DNC? Without that, is there any evidence of Russian meddling in the election at all? To House Minority Leader Nancy Pelosi, D-Calif.; Rep. Debbie Wasserman Schultz, D-Fla., (who resigned as DNC chair after the WikiLeaks emails were published); Sen. Chuck Schumer, D-N.Y.; and House Majority Leader Paul Ryan, R-Wis.: Do you know if it is true, as Fox News is reporting, that Seth Rich leaked 44,000 DNC emails to WikiLeaks? Have you asked the FBI about it? To Sens. John McCain, R-Ariz.; Lindsey Graham, R-S.C.; Rand Paul, R-Ky.; and Ted Cruz, R-Texas: If WikiLeaks was getting DNC emails from Seth Rich, what does that do to the narrative of Russia hacking the DNC? Without that, is there any evidence of Russian meddling in the election at all? And do you have any observations on why the DNC did not let the FBI examine its hacked server? A spokesperson for Rep. Louie Gohmert, R-Texas, said he was in transit. And the office of Rep. Jim Jordan, R-Ohio, had no comment. If they weren`t orderd directly chock it up as S.O.P., they have key hitters on a moments notice, if they sense a sniff of disloyalty to their cabal they become blood hounds, & then they become attack dogs. Synopsis: This is an anonymous source alert â€“ and at least thatâ€™s more than either the Wash Post or the NYT has given you. A person on something called Boardnet â€“ and within Boardnet, on something called - /pol/ - posted the following last Wednesday, May 17. This Doctor needs to go public in a big way and the Alex Jones Show would be a great place to get this interview. Chuck Schumer should be asked about this until he pursues an investigation. If he refuses, ask him what hes hiding. link to Podesta ... remember vault7 podesta emails ? 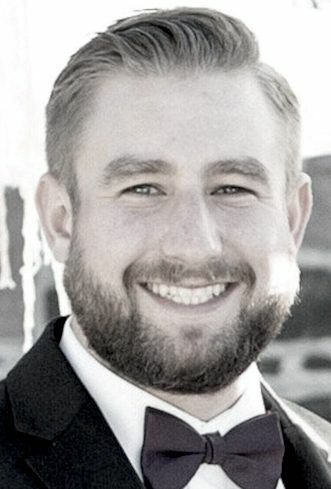 Seth was a man of courage and honor.. Exposing evil is deadly, he knew that but being a decent man continued untill he was murdered. The NYPD tells investigators to go to the FBI, the FBI tell the same investigators to go the NYPD, the PING-PONG game. This reminds me so much of the Pedogate smoke and mirrors, the Benghazi murders, the 911 commitee, Whitewater, HRC servers, Mena Ark, all the tid bits the MSM-( their bosses) basically swept under the rug. The lies are in the face of the citizens, they must decide, do they want sugar coated sh**t or the truth. I like the guy, he does a great job sh**ting on the MSM!!!!!!!!!!!!!!!!!!!! 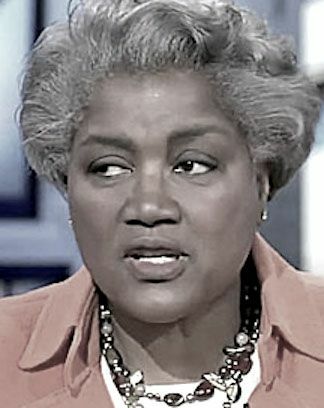 WASHINGTON â€“ Former Democratic National Committee interim chairwoman Donna Brazile is the high-ranking DNC representative who allegedly called police and the family of murdered DNC staffer Seth Rich and demanded to know why a private investigator was â€œsnoopingâ€� into Richâ€™s death, the private eye revealed to WND Monday. A manager of the Washington, D.C., bar where Democratic National Committee worker Seth Rich was last spotted hours before he was shot and killed last summer told WND that D.C. police officers never interviewed the barâ€™s staff or requested any evidence from the bar, including the barâ€™s surveillance video from that night, as part of an investigation into Richâ€™s murder. The revelation backs up a claim made by a private investigator who worked on the case who said D.C. police were told to â€œstand downâ€� on the investigation. WND also can report that the investigator recently was ordered to â€œcease and desistâ€� his work on the murder case. night,â€� a manager of Louâ€™s City Bar told WND. He said the barâ€™s surveillance video runs in a cycle of 30 days and that, by now, any footage that may have existed of Rich the last night he was seen alive has been taped over. BREAKING - NEWT GINGRICH: "SETH RICH WAS MURDERED BY DNC AFTER RELEASING EMAILS"! 2 days ago4,888 views this one I`m kinda certain is not fake news. Boom! Newt Gingrich calls for murder investigation ----------------SUBSCRIBE----SHARE----LIKE---------------------------------------------- ..
HI JO..i`M GLAD YOU KEEPING THE HEAT ON Seths MURDER. For Seth, his family and JUSTICE.USA..
Roger Stone said on AJ show today this guy is a fake. So beware! However, he thinks Wheeler is a real DC investigator and credible. Twitter, whose founder has expressed regret that his organizationâ€™s advocacy for free speech may have contributed to Donald Trumpâ€™s election as president, on Wednesday suspended for 12 hours WND.comâ€™s account for a headline tweet on Donna Brazileâ€™s involvement in the scandal developing over the death of DNC staffer Seth Rich. While the Twitter rules donâ€™t address news stories about high-profile public figures and high-profile public scandals, it appears there were no violations under the companyâ€™s trademark, copyright, graphic content, unlawful use, Twitter badges, abuse, violent threats, harassment, hateful conduct, account abuse, private information, impersonation, self-harm or spam restrictions. HRC`s team and her masters.